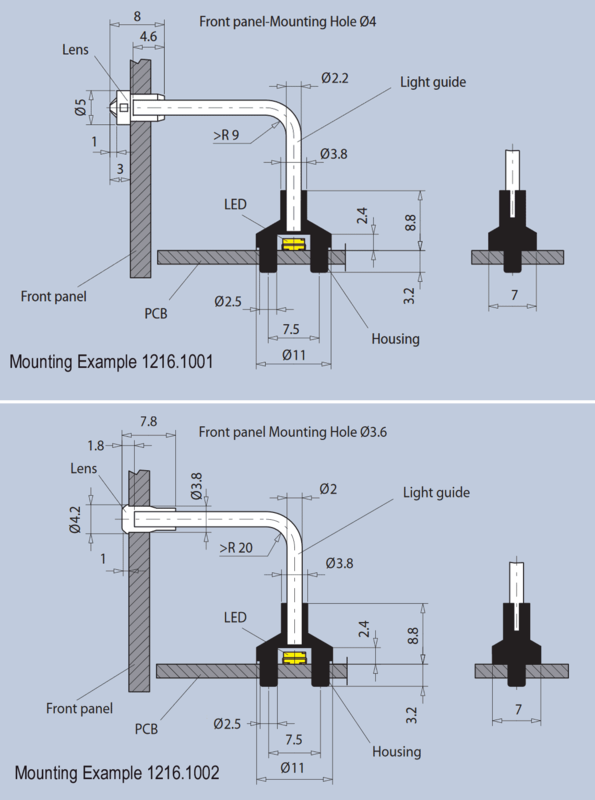 These flexible light guides are designed for use with SMD TOPLEDS and are mounted on the PCB via two press-in lugs. The housings are designed to accommodate Ø2mm light guides, i.e. 2000μm PMMA fibres as well as black coated 1000μm PMMA/PE fibres. Housings, light guides and lenses are supplied unassembled. Standard length is 150mm for the 1000μm version and 80mm for the 2000μm. Other lengths are possible.